Lloyd Harris is vastly experienced and a hard working commercial property surveyor. He has 14 years commercial property working for niche businesses and running Victor Harris Commercial since 2010. 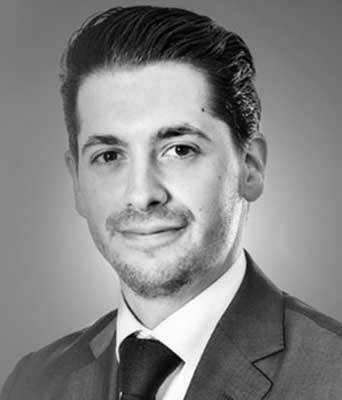 Lloyd Harris has a keen eye for detail and always ensures he offers clients excellent commercial property representation. He went to Mill Hill School in North London and used to be his schools Chess Captain. He has successfully acted for a number of reputable businesses, PLCs, tech companies, landlords, private equity, funds and Governments as a commercial property surveyor. Over the years Lloyd has been effective in acquiring and disposing property in London operating in both the Freehold and Leasehold markets. He is used to more complex requirements such as assisting Embassies, Hotels and other institutions. Lloyd enjoys playing golf and watching football. In his spare time he keeps fit in the Gym and likes to read. Recently Lloyd helped relocate an architect into their new premises acting as their commercial property surveyor. The office they moved into comprised 8,000 sq. ft.